In all, CIFAR today named 29 chairs at the first annual meeting in Montreal of the Pan-Canadian AI strategy, a $125-million initiative to ensure Canada remains a leader in the field. The inaugural CIFAR AI (CCAI) chairs, who will share $30 million in funding, are affiliated with three AI hubs: Edmonton's Alberta Machine Intelligence Institute (Amii), the Quebec Artificial Intelligence Institute (Mila) and Toronto's Vector Institute for Artificial Intelligence, launched in 2017 through a partnership between U of T, federal and provincial governments and industry. 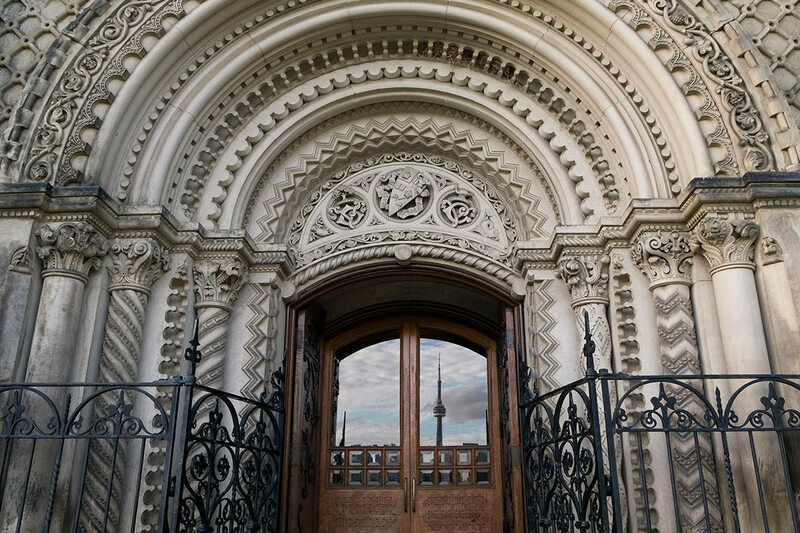 “The CCAI chairs will help establish U of T and Canada as a world-leading destination for AI for both researchers and students,” said Vivek Goel, U of T’s vice-president of research and innovation. U of T’s eight new chairs include experts in computer vision, natural language processing and the application of machine learning to health care. Goel said all are expected to play a key role in developing new technologies that could have a transformative impact on a range of industries, from medicine to transportation. Their work will also help to ensure students are equipped with the knowledge and skills needed to succeed in the jobs and industries of tomorrow, he said. All of the chairs were reviewed by an international advisory committee that included scientific leaders from major institutions and companies around the world. “This is a major step forward for Canada and an essential foundation for growing Canada’s global leadership in AI research and innovation,” said Alan Bernstein, president and CEO of CIFAR. Frank Rudzicz, an associate professor of computer science at U of T and one of the new chair holders, said the investment in artificial intelligence comes at an opportune time. “We're at a point where artificial intelligence is being taken out of the lab and applied in the real world,” he said, emphasizing the importance of maintaining Canada’s early lead in AI research and development. The fact that many researchers associated with U of T were named chairs came as little surprise to Rudzicz. Toronto – and U of T – has long been a hotbed of AI research, with pioneers in the field including University Professor Emeritus Geoffrey Hinton, now also at Google and Vector’s chief scientific advisor, and Professor Hector Levesque. Levesque worked in knowledge representation and reasoning, developing the Winograd Schema Challenge to see how machines reason. Hinton, for his part, is known as the “godfather of deep learning” thanks to the decades he spent plugging away at neural networks – a technology that attempts to mimic the way the human brain learns – when it was thought to be a dead-end idea. Many of the early discoveries made in Canada now underpin today's AI marvels: cars that drive themselves, algorithms that recognize images and speech, and computers that can outwit even the sharpest human minds at chess and Go. Rudzicz, who is also a rehabilitation scientist at the University Health Network, focuses on applying machine learning to health care. His startup Winterlight Labs, co-founded with experts in linguistics and computer science, has designed a tool that uses language to pinpoint early signs of Alzheimer's disease and dementia. “With about 40 seconds of speech, you can accurately assess whether someone has the disease about 90 per cent of the time,” Rudzicz said. Currently administered on a tablet or computer, the test could be adapted for a phone. It involves asking a patient to describe a picture spontaneously. A multitude of features – the ratio of pronouns to nouns, rate of speech and subtle acoustics of the voice – all help predict the likelihood of developing Alzheimer's disease or dementia, according to Rudzicz. Rudzicz is also looking to take artificial intelligence into the operating room to improve surgical safety. He and his co-researchers are in the early stages of developing a “surgical black box” that uses data from cameras and microphones in the operating room to alert surgeons to potentially deadly problems before they occur. The funding announced through CIFAR will help AI researchers turn their ideas into reality. Jimmy Ba, an assistant professor in the department of computer science, who is working on novel learning algorithms for neural networks. He developed the Adam Optimizer, one of the go-to algorithms to train deep learning models, and was one of the first students from a Canadian institution to win a Facebook PhD fellowship. Murat Erdogdu, an assistant professor in the departments of computer science and statistical sciences, who specializes in the design of optimization algorithms for machine learning models, such as deep learning models and recommender systems. Sanja Fidler, an assistant professor of computer science, who is an expert in computer vision and machine learning and is director of graphic chip giant NVIDIA's artificial intelligence research lab in Toronto. Marzyeh Ghassemi, an assistant professor of computer science and medicine, was the university's first joint hire in computational medicine and was recently named one of the MIT Tech Review's 35 Innovators Under 35. For a Boston hospital's intensive care unit, she developed machine-learning methods that used medical data to anticipate patient's needs and predict risks and mortality. Roger Grosse, an assistant professor in the department of computer science, works on algorithms for deep learning and Bayesian learning. He holds a Canada Research Chair in probabilistic inference and deep learning. Quaid Morris, a professor at U of T's Donnelly Centre for Cellular and Biomolecular Research who is cross-appointed to the departments of computer science and molecular genetics, looks at reconstructing the evolutionary history of tumours to understand how different populations of cells evolve over time, among other projects. Nicolas Papernot, a research scientist at Google Brain, is working on the security and privacy of machine learning. He is due to join the University of Toronto and Vector Institute in the fall of 2019. Frank Rudzicz, an associate professor of computer science and a rehabilitation scientist at the University Health Network, focuses on applying machine learning to health care. His startup Winterlight Labs has designed a tool that uses language to pinpoint early signs of Alzheimer's disease and dementia.